Some lawyers shoot from the hip. They have a lot of experience, so they figure they don’t need to put in the extra work in most cases. The problem with this approach is that every case is different and every client has different legal needs. 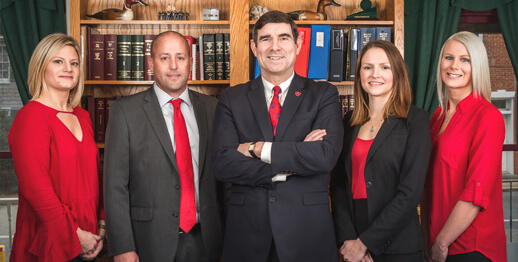 When you work with the Law Offices of Daniel D. Rosendale, you will work with a Centreville attorney who has been a working man for many years before becoming a lawyer, so he knows what it’s like to be in your position. Our Maryland clients appreciate the accessibility and attention to detail that they receive. When we take a case for a client, that case becomes our number one priority. When you are in need of legal representation, it is usually because you are in a difficult position. We consider it the most important moral and ethical obligation in our work to give you the best legal representation possible. 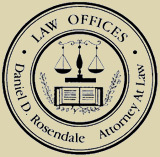 One of our most important attributes at the Law Offices of Daniel D. Rosendale is our accessibility to our clients. When you work with our Maryland law firm, we will return your calls quickly and make sure you always know what is happening in your case. Interview with Dan Rosendale Video – Click here. We are conveniently located across from Queen Anne’s County Circuit Courthouse, open 8:30 a.m.-4:30 p.m., Monday through Friday, with evening and weekend availability by appointment. Either call our law firm office or contact us online to schedule a free initial consultation.